Miguel Cotto, a seasoned Puerto Rican veteran and Canelo Alvarez, a scrappy young Mexican, are set to battle in Vegas on November 21st, 2015. This fight on paper promises fireworks; featuring one of boxing’s most celebrated rivalries, a Puerto Rican/Mexican match-up, and two of the best fighters from their respective countries. At a catch-weight of 155lbs Cotto v.s. 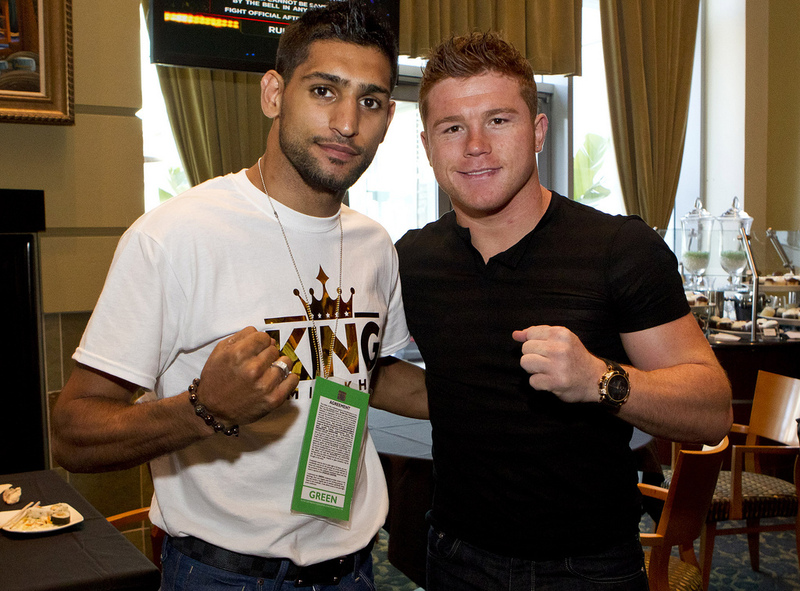 Canelo has fight of the year written all over it. Current odds have Canelo as the favorite at -240 and Cotto as the dog at +180; odds wise quite a close fight. Let’s take a brief rundown of how it could shake up. Cotto easily takes this one. He has been in the ring a long time and has squared off with some of the greats. Not to discount Canelo’s opponents, as he has taken bouts with absolutely everyone willing to do so, they just don’t have the same ring experience as those Cotto has fought. Not really much else to say here, Cotto is 9 years Alvarez senior and has simply been boxing longer. Both fighters bring a tremendous amount of power for their size. Cotto is more one dimensional with his power, focusing primarily on a bombing left hook. This is a deadly punch no doubt, but it is a signature. That means it can be expected and planned for. If Canelo is able to neutralize the left hook from Cotto, he has vastly increased his chance at success. Cotto can still deliver a beating without the left hook, but it is unquestionably his best blow. Canelo doesn’t have a signature punch, but he has far more raw power throughout the his full arsenal. A knockout blow can come from anywhere at almost any angle and this is what has made him a champion. It is much harder to fight an opponent that can muster a KO in any given punch. Cotto must exercise more caution than he is typically known for. In addition to his power advantage, Canelo is naturally the bigger man with 2” of height and 3.5” of reach on Cotto. He also has almost a decade of youth to boot. Canelo can throw devastating combinations, both powerful and precise. However, he tends to move around poorly and lacks a sharp sense of distance; he can be out-boxed and has had several fights which demonstrate that. Cotto easily takes an advantage in ring generalship with better footwork and is the superior ‘boxing-puncher’. This being said, neither man is known for a textbook display of the sweet science, yet both are greats of the sport. Cotto has an advantage, but given the circumstance it is rather moot point. No real standout between fighters here. Canelo has been known to take rounds off or let his hands fly and Cotto loves to bomb left hooks on the inside leaving himself open. This fight will not be a show of defensive prowess, it is neither Cotto’s nor Canelo’s forte but that is what makes this fight so exciting. Expect a KO to end this fight. Heart and grit often come up when speaking of boxing intangibles and can sometimes affect the outcome of a fight. Cotto has undoubtedly been tested time and time again whereas Canelo, despite some tough fights, has yet to be in a true battle. This is likely a testament to his skill set and raw power but an interesting thought should the fight go down the stretch. I think Canelo’s youth and power will earn him a victory come November 21st, but I do not count Cotto out whatsoever; he is certainly not a long-shot like many would have you believe. This fight can go either way and the opening odds certainly reflect that. Both fighters bring an exciting style to the table and regardless of the outcome, this fight will be a must see!